When it comes to finding a destination for investment, you’ve got several options. You can go for the more general route, and opt for businesses with broad client bases – such as the professional services “Big Four”, including Deloitte or KPMG. However, while it may make sense to invest in a firm that has clearly had success in attracting a wide client base, it’s not the only option available. Choosing to invest in niche industries has its upsides. Niche markets essentially contain highly specialized services – and that means there’s a product there for which people are willing to pay a premium. When a company specializes, meanwhile, they often find their pool of competitors reducing as their own skill sets become more unique – which is an advantage for their bottom line. This article will look at some examples of profitable niches and consider why they are so successful. A field such as logistics may seem at first glance to be a pretty unspecialized and broad-natured sector. However, with an increasingly globalized economy now emerging, the haulage and infrastructure requirements of individual firms are diverse. A firm might need to send their raw materials from one place to another by boat, for example, but then need to fly their end products across the world to reach new markets. As entrepreneur Evangelos Marinakis of shipping firm Capital Maritime & Trading Corp has found, zooming in on particular modes of transport is a great way to provide a much-needed and specialist service. Using ships to transport materials, for example, requires some relatively esoteric knowledge – including boat construction and appreciation of ideal weather conditions. By attempting to offer shipping, airline and road haulage all at once, though, a maritime firm would be unlikely to see the same degree of success as it would if it simply focused on what it does first and best. The fashion industry offers all sorts of opportunities for an investor to find something specialist. While the most famous catwalk designs may be somewhat homogenous in terms of size, design and more, the wider industry has been busy specializing and catering to customer needs. This is especially true for those fashion firms that design items for certain body shapes and sizes: with customers in these categories often frustrated that major brands don’t design with the full range of body types in mind, there’s a real demand here. It’s no surprise, then, that investments in this sphere are high value. British specialist womenswear retailer Yours Clothing, for example, sells plus size women’s clothing, and is one of the most popular high street stores. It’s been backed by Barclays to the tune of £1.75m, showing that specialization is really no barrier to acquiring investment. In fact, it may well be a key to getting the investment you need! When selecting a niche in which to invest, it’s wise to always go for something that you know is likely to last the course. Given that homes are always going to be required, it makes sense that the homeware niche is one that will most likely remain sustainable over time. This is a key lesson for niche investors: choosing anything that runs the risk of being a passing fad isn’t a wise choice, as it can quickly crash and burn and take your investment with it. However, the world of homewares is a great example of how a niche can be specialized even further, and how niches within niches can be set up. Home security systems such as CCTV cameras and motion sensors are all growing in popularity – and with the rise of the smart home making these items easier to use, it’s unlikely that they’re going to go away. With the overall market capitalization of the home security industry alone currently resting at $51bn per year, this niche is certain profitable. For investors, the lesson is clear: specializing as far as you can within a pre-existing sector is a great way to boost returns. While going big and bold may provide some security to an investor, investing in the enormous jack-of-all-trades firms isn’t the only option. 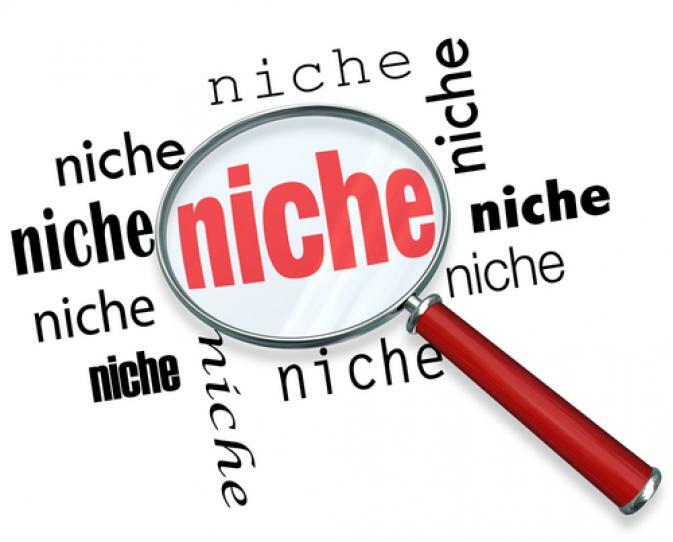 Highly specialized niches can also hold the key to a profitable investment – and in some cases, it may even be more lucrative to go down this route. From logistics to fashion, then, there are lots of different niches that a potential investor can consider.